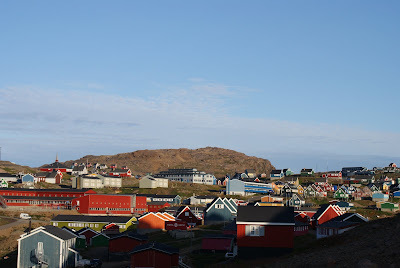 Small colorful wooden houses are scattered on the mountain sides, beautifully situated by an almost circular fjord and surrounded by high mountains. 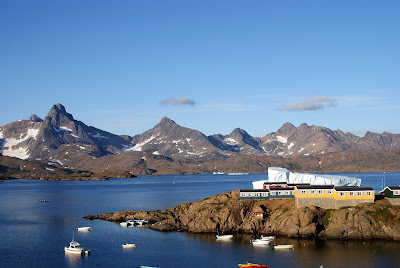 Tasiilaq is rightfully considered as one of the most beautiful towns in Greenland. A small river flowing through the Valley of Flowers behind the town divides the town in two. From June to August this valley is the perfect place to have a close look at the unique arctic flora. 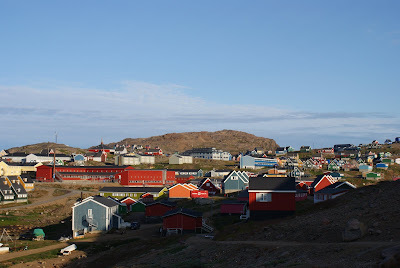 Around 1,924 inhabitants make the town the largest in East Greenland. Yes, you have reached the outskirts of civilization. AS far as I can see from here (! 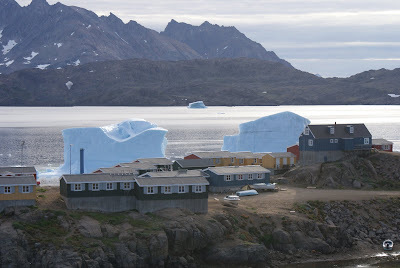 )...Tasiilaq is indeed a charming little arctic town. 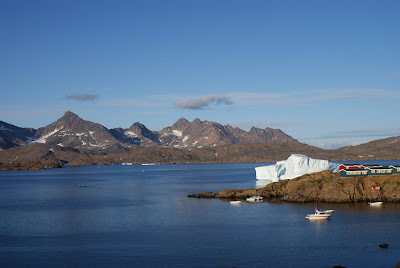 I intend to publish a post about Tasiilaq and Ammassalik fiord soon. Great photos!